​Buying a home for the first time can be an overwhelming task, especially since this will most likely be the biggest expense you ever have. Therefore, it is important to be organized and plan appropriately before you begin the home search process. This starts with reviewing past market statistics for the area you want to move to and comparing them to current prices, that way you have a better understanding of where the prices might head in the future. 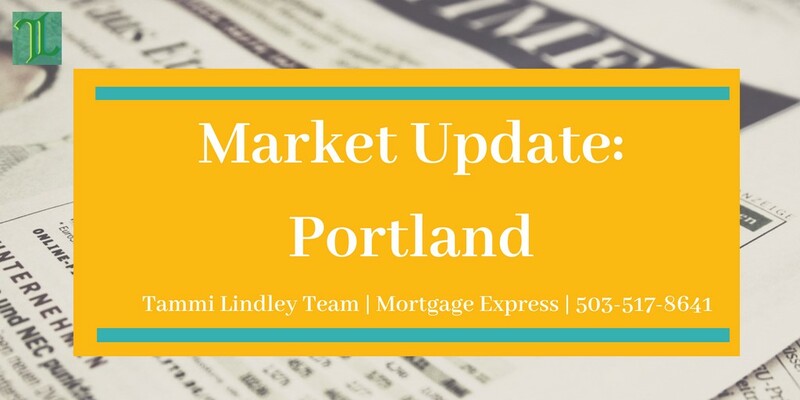 So, to help you get started, your local Portland mortgage lenders, the Tammi Lindley Team, have listed the most current market update and have compared the median listing price and the median price per square foot over the past three years. In reference to Realtor.com, the median listing price in Portland has continuously increased over the past three years. In June 2015, the median price was listed as $370,000 and increased approximately 15% the following year to $425,000. By June 2017, the listing price was $459,900 and increased an additional 7.6% to $495,000 by June 2018. Since the prices have consistently increased over the past three years, it is safe to assume that the median listing price will continue to rise in the near future. Therefore, if you are looking to purchase a home and would like to apply for a Portland mortgage, we would highly recommend locking in a rate now with your local lender before they increase again. The median price per square foot has also steadily increased over the past three years. In June 2015, the median square footage price was $191 and rose 12.5% one year later to $215. By June 2017, the median price per square foot was $233 and increased an additional 6.4% by June 2018. The current median price per square foot is $248, which is a 6.4% increase from the year prior and approximately a 30% increase over the past three years. With this consistent increase in price per square from June 2015, it is safe to assume that throughout the years, real estate in the Portland area is becoming more valuable. This means that Portland would be an excellent place to invest in a home. For more details on the local housing market, please contact your Portland mortgage lenders, the Tammi Lindley Team with Mortgage Express at 503-517-8641.